Mahinda Rajapaksa issued a statement on “Constitutional Reform Programme” recently (4 December 2016) referring to the six Sub-Committee reports submitted to the Constitutional Assembly (Parliament), without enlightening the public of ‘what was exactly wrong’ or ‘what should be revised’ in respect of the recommendations that they have submitted. This was not worthy of a person who was the President of the country twice, elected in 2005 and 2010. It is true that in 2010 he backtracked his initial promise of 2005 to abolish the presidential system and bring a new constitution, but nevertheless promised to expand on devolution (13+) including the establishment of a Senate (Mahinda Chintana 2010, p. 54-55). For those who have a bad memory this is what he exactly said in Mahinda Chintana 2005. “With the consensus of all, I expect to present a Constitution that will propose the abolition of the Executive Presidency and to provide solutions to other issues confronting the country.” (p. 97. My emphasis). It is in respect of ‘providing solutions to other issues’ that MR appointed the All Party Representative Committee (APRC) in July 2006 focusing on the national issue. 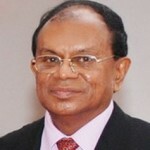 The mandate was clearly to ‘make proposals to evolve a home grown new constitution’ which will provide ‘comprehensive approach to the resolution of the national question.’ Tissa Vitarana should know better than anyone else that many of the proposals of the APRC submitted in 2010 were far reaching and some of them were even similar to the ones proposed by the current Sub-Committee on Centre-Periphery Relations. 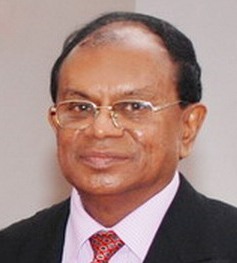 For example, the APRC proposals said “The concurrent list is abolished and the said powers distributed between the central list and the provincial list appropriately.” The origin of this erroneous ‘abolition of the concurrent list’ goes back to the 2000 Constitutional Draft of which G. L. Peiris was the chief architect. Therefore, while MR and GL have every right to criticise the recommendations of the sub-committees or change their earlier declared positions, their attempt to sabotage the new constitution making process should be treated with reasonable suspicion. MR Statement although pretends to focus on the ‘Constitution Reform Program,’ tries to divert the public attention on some of the recurrent problems like protests or strikes of our society calling them “Chaos in the Country’ in the title of the statement itself. That is the entry point of the statement. It is in fact true that the Sub-Committees which have submitted their reports have not dealt with the above two issues. Those were not within their mandates. However, there is a Steering Committee to deal with both and many other fundamental issues. The Steering Committee is most representative and highest among the committees appointed by the Constitutional Assembly (Parliament). As admitted, those two ‘promises’ are coming from the presidential elections in January 2015. Thereafter, there was the parliamentary elections in August 2015 where many parties, particularly the UNF, promised a new constitution. That is the recent mandate from the people. If we take the reform of the electoral system first for discussion, by June 2015 there was a draft for a proposed 20th Amendment dealing with the electoral system. No such a progress was achieved under the MR presidency on the electoral reform front. What has to be fixed now is some technical matters with the assistance of experts and the Elections Commission/Department. There is no point in opening the Pandora box again. After the experience of the 19th Amendment, it was also clear that piecemeal reforms cannot meet the expectations of democracy as the constitutional system has become fundamentally distorted. That is one reason why the UNF Manifesto in August 2015 very clearly stipulated the objective of a New Constitution. This was the same or similar of the UPFA manifesto and other parties. It appears that MR’s Statement writer (most probably GL) has a time-lag in memory on both points! There is no question that Mahinda Rajapaksa had also taken a keen interest in electoral reforms in the past. However, can that be said about the ‘abolition of the executive presidency’ that he talks about now? This is utter hypocrisy and duplicity. If he was committed to the abolition, why did he introduce the 18th Amendment in 2010? He has no moral right to talk about it today. On the contrary, Maithriplala Sirisena has given up many of his constitutional powers within months of his elections in January 2015. It is a complete distortion to say that “The subcommittee on Centre Periphery Relations has openly stated that the ‘unitary character’ of our constitution is an ‘impediment’ to the functioning of the provincial councils.” What it exactly says is the following. The Chairman and few Committee members are not the whole Sub-Committee. Even if the whole subcommittee had stated that, it is not a reason to be alarmed. It is their opinion. If not openly, how else they could have stated it? The highlighting of this matter as a disaster in the MR Statement shows two things. First is the secretive way they usually want to deal with constitutional reforms like in the 18th Amendment. Second is their antipathy for Tamil representatives who are involved in the constitution making process today. D. Sithadthan is the Chairman who had expressed that view about the unitary character of the constitution. That was there in the TNA Manifesto for the 2015 parliamentary elections. A constitution making process should allow all participants to express their own views. In addition, the whole country should appreciate the painstaking participation of the TNA members in the constitution making process for the first time in our constitutional history. After all, a new constitution would be a product of negotiations and compromises of what is feasible and desirable for the country. MR Statement has made 4 criticisms over the recommendations of the Sub-Committee on Centre Periphery relations. Some may appear to be valid and that is the very reason why MR should directly get involved in the constitution making process without playing hide and seek. But all are not valid. Some are outright distortions. The first point is about the Governors. When it says the following it is an outright distortion. It is not through the Governors that the “provinces and the states are bound to the centre.” There is no point in talking about ‘States’ in Sri Lanka. It should be through the Constitution and its supremacy and its proper implementation that the ‘provinces should be bounded to the centre. Constitutionalism should take priority and not the authoritarian positions of the Governors. It is finally through democratic politics that the unity of the country and the state should be and could be preserved. The new constitution should not be drafted in the image of India. Even in India it is not the case as stated. Most of the powers of the governors and even the President of the Indian republic are ceremonial and symbolic, except in the case of emergencies. All powers of the governors do not need to be stripped. As I have suggested in my proposals to the PRC and explained in previous articles, an elected President could retain functions related to ‘national security’ and ‘national reconciliation.’ Thus, the Governors as the appointees of the President could also exercise such powers not arbitrarily or unilaterally but on the advice of the President. All other powers of the Governors could be ceremonial. There is no point in having Governors’ approval for provincial statutes. It is a legislative function of the provincial councils. Therefore, like in the case of the national parliament, the signature of the Chairman of the PC could be sufficient. However, before a bill becoming a statute, the draft could be referred to the Constitutional Court (CC) to check its consistency with the Constitution. Even after passing a statute, it could be challenged before the CC. For proper devolution of power or functions, the Governor’s authority over the provincial public service needs to be transferred to the Chief Minister and the provincial Board of Ministers. Otherwise it is not proper devolution of power. However, as I have stated in my previous article (What is Wrong with the Centre-Periphery Report? ), the proposal by the Sub-Committee to take over the complete District (District Secretaries) and Divisional (Divisional Secretaries) is not only faulty but also irresponsible. It is these kinds of proposals that have given opportunity to the Joint Opposition (JO) to create suspicion and mistrust about the current constitution making process. However, MR or GL should know better than anyone else that these are just proposals and the political leaders in the Steering Committee or the Constitutional Assembly would not agree with such proposals. If they have any suspicions, they also could consult with the TNA leader, R. Sampanthan, and ask his opinion on the subject. It is clear that the Tamil side would ask for maximum autonomy, particularly to the North and the East, and it is left to all parties, the Muslim parties included, to work out what is possible under the prevailing circumstances, also considering the territorial integrity and unity of the country. In this case, there is no possibility of the central administration being placed under the provincial administration. MR Statement is correct in this respect. It is correct to state that the Sub-Committee has proposed “the list of concurrent powers which are wielded by both the central government and the provincial councils is to be done away with” As I have pointed out before, the originator of this erroneous proposal is G.L. Peiris himself. If anyone refer to the August 2000 Constitutional Bill that GL proposed in Parliament, as the Minister of Constitutional Affairs, there was no concurrent list! However, it is completely incorrect to state that the proposal is to transfer all those concurrent powers to the provincial councils as the MR Statement states. This is scaremongering. This is an attempt to create suspicion and fear. What the Sub-Committee has stated is the “Committee recommends that the Concurrent List to be done away with and the subjects added to relevant Lists.” The relevant lists in the plural does not mean ‘provincial councils.’ It means both the Reserved List of the Central Government and the Provincial List of the Provincial Councils. There is no question that a concurrent list should remain, perhaps in a reduced form, and better called ‘Cooperative List’ to mean subjects that the Centre and the Provinces should exercise not competitively or antagonistically but cooperatively. Environmental protection is one such sphere where the cooperation is necessary. Even Land or Police powers could be within the cooperative sphere. In the case of police powers, the Centre could have the primary authority in manging and overseeing the police service in the country. It is difficult to imagine why a former President allows such ‘inaccuracies,’ to say the least, in a public statement misleading the people in such an important matter of constitutional reform in the country. Most importantly, in the MR Statement, there are criticisms but no alternative proposals. When the Constitutional Assembly was formed as a Committee of the whole Parliament, in May this year, there was no dissent. There are Members of Parliament who are supposed to be the members of the Joint Opposition who are members in the Sub-Committees including the one on Centre-Periphery Relations. This is where most of the controversies have emerged. Even they have not done their best to moderate the recommendations. Taking all these matters into consideration, it could be the wish of the country that the former President, his followers and his statement writers act more responsibly on the issues of new constitution making process in the country in the future without inflaming the passions of the people. They should come up with their alternative proposals.